Sheriff supervisor and St. Augustine Beach Civic Association (SABCA) President WILLIAM JONES publicly said on May 10, 2017 that "Ed Slavin" files open records requests with government agencies and this "must stop!" I wear his scorn as a badge of honor. St. Augustine Beach City Manager BRUCE MAX ROYLE took notes at a de facto hate rally, held in City Hall, in the City Commission chambers, the last such meeting that will ever be held there. But ROYLE won't share them at a meeting of the St. Augustine Beach Civic Association. ROYLE won't answer questions about attending a session where persons engaged in First Amendment protected activity were held up for angry pejoratives, e.g., "group of elderly old white men." As Wm. F. Buckley, Jr. said, "Why does baloney reject the grinder?" 1, Not a request for a public record. 2. Not a request for a public record. 3. Not a request for a public record. 4. There are no public records to provide. 5. Not a request for a public record. 6. Not a request for a public record. 7. Not a request for a public record. 8. Not a request for a public record. 9. Not a request for a public record. 1. So you endorse Mr. Jones' statements. "Silence gives consent" is the ancient maxim in equity. 2. Your refusal to answer questions seems just a bit uncivil and unhelpful. 3. As St. Augustine Mayor Shaver says, "government is a customer service organization." 4. 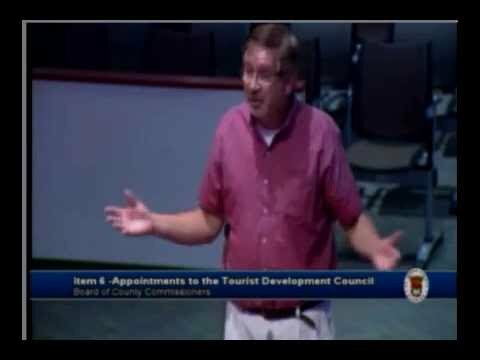 We expect expect better "customer service" from the City Manager of St. Augustine Beach. Starting now, please. You were observed writing notes with a pen, on a piece of paper or papers, located inside a file folder. Please provide those records. 5. We have a Right to Know what happened, what you know and what you think. Sheriff's civil process supervisor and SABCA President William Jones' allegedly abusing Commission chambers for the purpose of stirring up animus and hatred of six government watchdogs a/k/a "elderly old white men" is a matter of public safety and public interest. After the police canine officers left, there was no security in the room. Two (2) of those watchdogs were present, as Mr. Jones hurled invective at them and others who were not present. 6. Was there nearly a breach of the peace by Mr. Jones? Animus and hatred were allegedly preached by a Sheriff's supervisory employee in St. Augustine Beach City Commission chambers, using the Mayor' gavel as a prop. 7. Mr. Jones, presiding over his last SABCA meeting in City Commission chambers, was freighted with invective and emotion. Mr. Jones angrily stated to some fourteen (14) attendees that "Ed Slavin's" requests for government records "must stop!" 8. You, Mr. Royle, are the St. Augustine Beach City Manager. You attended and you remained silent in the face of this swaggering hatred of persons engaged in First Amendment protected activity. Why? 9. Until halted by vote of City Commissioners, St. Augustine Beach Commission chambers were for years used for dozens of monthly meetings of this political club, a small de facto political action committee, which now apparently sometimes functions as a quasi-hate group, formally known as the "St. Augustine Beach Civic Association, Inc." Mr. Jones' wife, Gaye Jones, announced immediately after the meeting ended that she was running for City Commission against Commissioner Undine Celeste Pawlowski George, currently Vice Mayor. (Mr. Jones, a Sheriff's office supervisor, is currently barred from running for City Commission by the Florida Constitution's prohibition on dual office holding). As your request isn’t for a public record, I have no response. Do you endorse Mr. Jones' statements mentioned in earlier e-mails? 1, The cameras are always on. This doesn’t mean that the cameras were being operated and a video was being made of the meeting. There was no one upstairs in the control room operating the cameras and the video equipment. 2. I didn’t receive any handouts at the meeting. 3. You are not asking for a public record. 4. You are not asking for a public record. 5. See 2,3 and 4 above. 7. There is no video, and are no records in the City’s possession of the May 9th Civic Association meeting. 1. Why were the LED lights on the video cameras turned on? 2. Did you receive any handouts from SABCA at the meeting? Please provide them. 3. Why no response? Do you endorse what was said? 4. Why no response? Do you endorse what was said? 5. What do you recall? 6. If you took handouts, they are now government records, Mr. Royle. Please provide. 7. You stated, "Don’t understand what you mean by 'post it all on the City’s website….' What’s (sic) 'all' mean?" Please provide all records and video and place it all on City's website. 1, The City has no documents or video of the Civic Association’s meeting last night. 2. The cameras in the Commission meeting room were not on last night. 3. A, B, C,D, and E: No response. 5. As last night’s Civic Association meeting wasn’t an official City meeting, there was no reason for me to take notes. 6. Answered by #1 above. 7. Don’t understand what you mean by “post it all on the City’s website….” What’s “all” mean? 1. Please provide documents and the video of the May 9, 2017 St. Augustine Beach Civic Association meeting. 2. The meeting was held in the St. Augustine Beach City Commission chambers, with City video cameras turned on, correct? A. Used the St. Augustine Beach City Commission's gavel as a prop. B. Assailed government officials, residents and one journalist in retaliation for First Amendment protected activity (asking questions, obtaining information, disagreeing with SABCA on government policies, and reporting possible wrongdoing). C. Emitted pejoratives, paranoid iterations and group hatred, e.g., blaming governmental scrutiny of SABCA on "a group of elderly old white men." D. Attacked "Ed Slavin" for filing public records requests with local governments, angrily stating such constitutionally protected activity "must stop!" E. Solicited complaints against "concerned citizens." 4. SJSO supervisor William Jones' angry effort to stir up hatred -- during the last SABCA meeting that will ever take place in the St. Augustine Beach Commission chambers -- may be construed as an obstruction of justice. See United States Attorney's Manual: https://www.justice.gov/usam/criminal-resource-manual-1736-inchoate-obstruction-justice-offenses Mr. Jones' employer is St. Johns County Sheriff David Shoar, whose actions citizens and journalists rightly question. 5. Please explain to me what you saw and heard last night, Mr. Royle, and kindly state what you have done in response. Did you take notes or write an e-mail to inform SAB City Commissioners of what took place last night, including alleged efforts to stir up a fight? 6. Kindly provide any documents related to the May 9 meeting and the video. 7. Please post it all on the City's website, as the use of the room by SABCA for partisan events is a subject of continuing debate, and the people have a Right to Know. Is President DONALD TRUMP bonkers?